A friend of mine posted this challenge and I thought, Yeah, I can do that, too. So, I announced on FB that I was going to stop liking things for 2 weeks and instead of liking things, I made more comments. But this didn’t last long. In fact, I think I only lasted a few days. In the beginning, I scrolled past posts and pictures and left comments only. I realized quickly this challenge was going to be a pain in the ‘ol rumpus. Often we like things and have nothing more to add to the conversation. I mean, do I need to add to the noise? Liking something is a show of support, don’t you think? But because of this experiment, I would instead comment a 🙂 or something like that. I had a nice conversation or two, as a result, but what I realized was taking the like function out of FB was like removing a few keys out of the keyboard. How do you get it done? What’s the point? By not liking, you don’t participate, really. And that’s okay. I once asked my friend Pat if even used FB and he said that he did. But he never likes or says anything. He just logs on to see what everyone is doing. Hmmm. Okay. He stalks. Fine. I have friends who refuse to even use FB – yeah, that’s my generation. The moment I stopped this challenge was when a friend from high school posted a very emotional account that some of us (who were tagged) had shared with her. She has been fighting a chronic disease and friends were commenting and I wanted to like what folks were saying, not just comment. There were good things being said and shared. I think I understand what the blogger was trying to do with this challenge, and that’s great for her. She obviously felt like she needed to do this. I’m willing to wager her circumstances are different than mine. First of all, I’m not a heavy user. I don’t have a smart phone (OMG! What?!) so I’m not constantly scrolling and checking-in whenever I have 2 minutes to spare. In fact, I kind of hate teaching teenagers because they are constantly checking FB or chatting on Line. I cannot relate to this need, this pull, this addiction. Amusingly, whenever I haven’t logged in for a day or two, I find that I haven’t missed anything. It’s almost disappointing. I also live outside of my passport country. 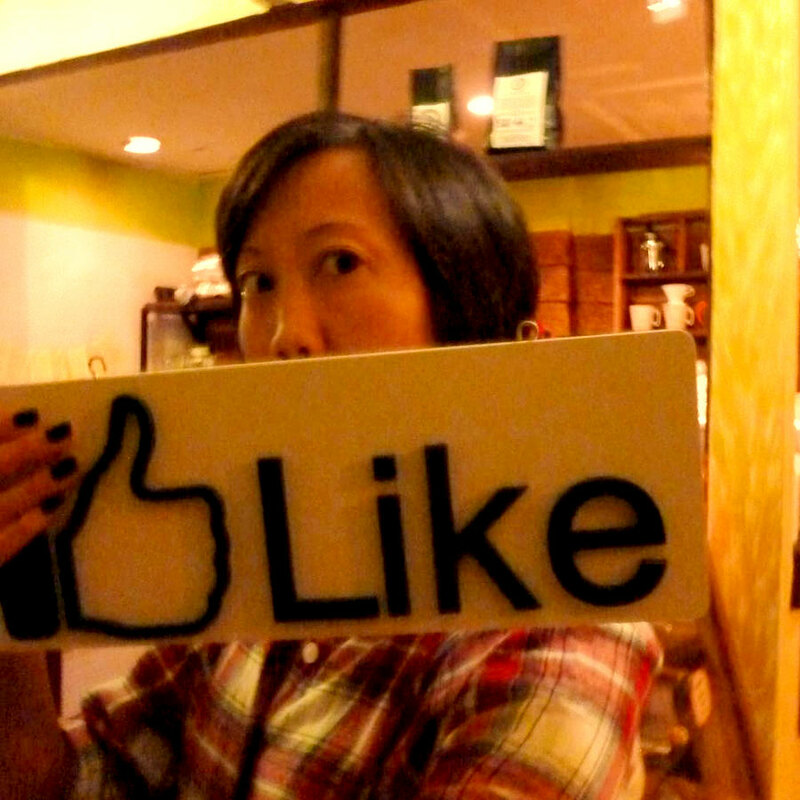 I’m an expat, so facebooking is my way of keeping in touch and sharing my little world. I use it like an email account. Advertisers hate me because I use adblock (the only reason why I started to use Chrome was because they finally got this app). The blogger says her feed is more human now. Interesting. When I look on my feed I see: what my former Waldorf, Ecuadorian and Thai students are up to; friends posting pics of their babies and families; silly photos and cartoons; travel albums; news; and stuff like that. Seemingly innocent, right? What I did notice and the habit has kind of stuck, from doing this challenge is, I stopped participating. I’d check-in and then check-out rather quickly. Since I couldn’t like, it took away a big part of the engagement of FB. Occasionally, I think this is a good thing to do, a media cleanse. How do you use FB? Have you tried this challenge or a similar one? What do you think? Previous Post Where in your life do you search or explore for new? Next Post What is inspiration? I approach Facebook pretty much the way you do. It is a way of staying connected with people I would otherwise completely have lost touch with long ago. I am not obsessive about it, and like you, don’t have a smart phone. I do enjoy it when my friends share photos of their adventures and lives. It makes me feel connected, even though we are oceans apart. I love that ‘like’ button. Hooray! Another regular phone user! We are a dying breed. Must. Hold. On. A. Little. Longer! Very interesting question, Lani. I check my Facebook a few times a day to see what everyone’s up too. Or stalking if you want to call it that way 😀 Sometimes I’ll comment on a few of my friends’ posts and Like them. But I rarely Like a post without commenting. I don’t post much on Facebook myself, however. Usually if my friends abroad or who live far away from me want to know a bit about my life, we message each other on Facebook. Yeah, maybe I should comment and like, but sometimes I’m lazy 😛 It would be good for me to not use FB so much. Sometimes I worry I’m on it too much. Lately, I’ve been good. And like you, it’s another inbox for email! Ug. I think I use Fb more than you…I think 😀 I am more into Twitter and Instagram, actually. If I’m outside, on public transport and on the go, I like to check either of these when I have a spare moment and am bored by my surroundings. You are right. Fb is another inbox for email. Though from my experience, Fb messages are much shorter and direct compared to emails, doing away with email formalities. I can’t get into Instagram. I’m already on FB, Twitter and sometimes G+. I feel like I can’t have any more! It took me a long time to get into Twitter and understand it. I’m not one of reading and researching things. I like to jump right in…so there was a learning curve and the curve got the better of me. Now, I love it. G+ hasn’t shown as much promise as it originally did. It seems spammy, but the communities are a good idea and that is where the value lies. I almost hesitated to like this post. Haha. No, not really. Yeah, I need to keep on keepin’ on with limiting my time on FB. It’s not like I don’t have a zillion other things I want to do! But, after a while, FB got distasteful to me. I’ll express it best this way: “I learned more about people than I really wanted to know”. It’s too open, too personal, too immediate and can turn middle-aged humans into yacky little school kids. It’s better to read interesting blog sites (like this one) written by someone you don’t yet know. Thanks Stu. You should watch that PBS documentary on Generation Like that I put in this post. It’s really, really interesting on a pop psychology level. Yeah, I think we are over-exposed and “nothing is sacred anymore”. I wouldn’t be surprised if society headed back the other way once we realized how important privacy is. I also got on FB rather late. My hs friend kept insisting that I get on and how she was reunited with everyone, etc. So, I did. It’s been fun, but I am weary of it, too. The downside for me is everyone seems to like to have these nasty debates on my wall. Adults do act like “yacky little school kids” – it’s really weird. I don’t get it. Ah Facebook. We love to hate it but we can’t quite quit it. At least, that’s how I feel. I’m one of those stalker people. I like seeing other people’s lives and pictures and things but I don’t like or comment majority of the time. I use it for my blog promotion mostly, but only on my blog page. I keep my personal account separate, and, well, personal. But I’ve never been the type to constantly post updates and pictures and whatnot. I came to FB later than most of my friends so it was never an all consuming habit, although I do tend to find myself skimming on my phone when I have nothing else to do, much to my chagrin. I agree with what Stu said, “learning too much about people…” I’ve kept a lot of friends but unfollowed them so I wouldn’t need to read their constant emotional battles, pointless complaints, and bad grammar (!). I love your thoughts, and I’m fighting the urge to ask, “So, do you want to be FB friends?” Hahahahhaa. As an social experiment, what folks care to share is fascinating and repulsive. It’s almost like everyone is learning the rules for engagement. Some folks “get it” and others use it as a place to air out grievances, update for the sake of updating and share without taking a closer look at what they are sharing. On the other side of the keyboard, I get this quick burst of links, great articles, and connection with my friends from all over the world. It is as you say, we all love to hate it, but we use it anyway! Good point! Actually, I’ve heard advice from my dad, from employers, professors, and a myriad of others to be oh so careful about what we put on FB. People do look and it makes an ENORMOUS impact on our impressions. I can’t tell you how many people I grow to disrespect due to their FB postings. It’s so sad. Maybe because my dad was always careful to warn me (bless him), I’ve been very cautious about what I post, and that might be the reason I rarely do now. Your dad was smart to warn you. I remember when FB got really big and employers were checking out potential employees. There was all this talk about “don’t post drunk pics!” cause they were finding these really embarrassing/irresponsible/immature photos. I even opened a new email account with just my name so it was more “professional” and direct. I also remember reading this quote when I was a teenager, “Never take a picture with a drink in your hand”. And I thought, “Hmmmm.” I do have picture of me with a glass of red wine raised that I use on my other blog, but that’s the extent of any thing along those lines. I’ve also turned my previous photo albums on FB to private. I think this is just my way of eventually removing them. I’m curious to see where FB will be in ten years. Right! I mean, will FB even be around? I don’t use FB. Blogging and email is enough for me. I’ve seen the don’t-like thing going around and I have been trying it out, but not applying it to liking comments. And I’ll admit I’ve thrown one or two “likes” in as well. So yes it’s about media cleansing and also just figuring out whether you really should be hitting that button or taking some other action. I think it does depend on your initial pattern of use. Yes, I go through phases as well. A flurry of posting/commenting (because then when you’re on there you might as well have a flick through and that generates more interaction/responses/time on facebook) and then the conversation dies down and something has to get you drawn back into it. Wow. You’re like my hero. Seriously. Good for you. Folks must be shocked when you tell them you don’t have an account! I actually have been weaning myself off of it. Hopefully I can get to where you are! Oh, man, you have no idea the ridiculous convo’s that occur when people here that. It’s truly amazing to realize how fearful people are of anything that’s not the norm.